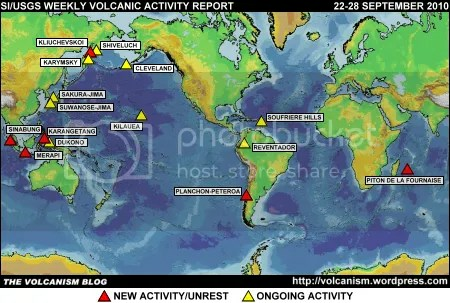 The foregoing is a summary of the Smithsonian Institution/United States Geological Survey Weekly Volcanic Activity Report covering 22-28 September 2010. It is provided for information only, and is based on but not a substitute for the full report, which comes with its own criteria and disclaimers. 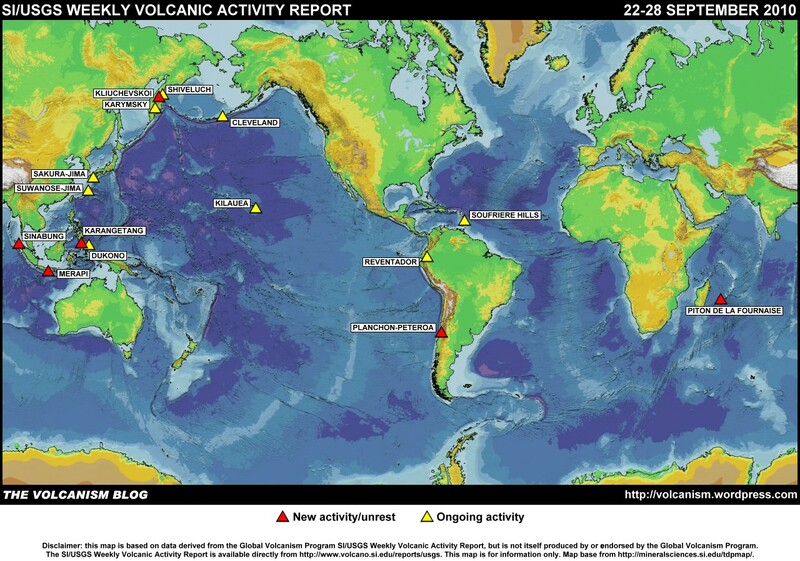 The map base is derived from the Smithsonian Institution/USGS/US Naval Research Laboratory This Dynamic Planet website.